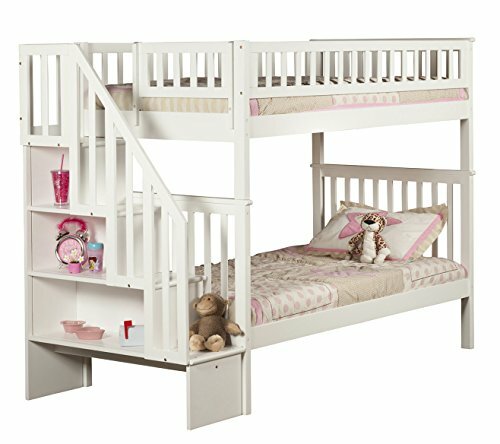 Create a great space with the Woodland Bookshelf Staircase Bunk Bed. This timeless style craftsman bunk bed features beautifully detailed matching guard rails and end panels. Designed with safety in mind, you can feel good about your purchase of this bunk bed. If you have any questions about this product by Atlantic Furniture, contact us by completing and submitting the form below. If you are looking for a specif part number, please include it with your message.